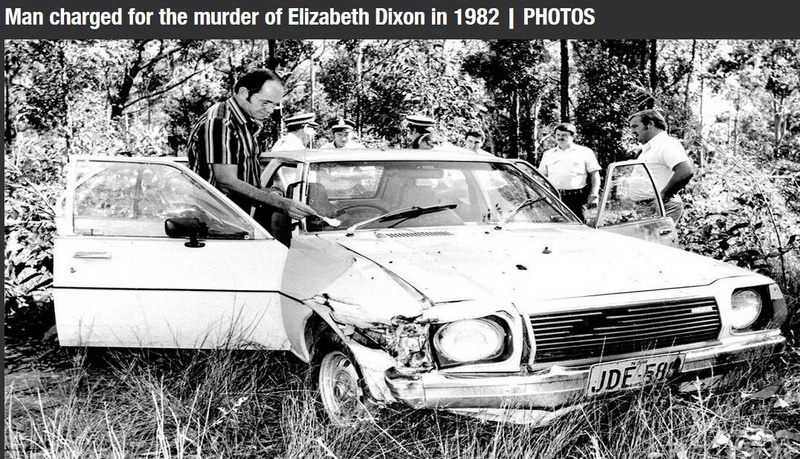 Murder solved today, Photo in the News of the discovery of Elizabeth Dixon in Maitland 1982. Graham Day (third from right without hat) and Z.T Matuszynski beside him. The were early on the scene. The Hon. MELINDA PAVEY: My question is addressed to the Minister for Police and Emergency Services. Will the Minister inform the House about National Police Remembrance Day? The Hon. MICHAEL GALLACHER: I thank the honourable member for her question and I again welcome the opportunity to share the details of this significant day for the New South Wales Police Force with the wider community. National Police Remembrance Day was observed on Friday 28 September 2012. It is a day held in memory of police officers across the country who have died in the line of duty. On that day I had the honour of attending a service held at the New South Wales Police Wall of Remembrance in the Domain at which the 251 officers who have given their lives to protect the people of New South Wales since the formation of the New South Wales Police Force 150 years ago were rightly honoured. It was a solemn reflection of the ultimate sacrifice those officers made and their legacy. The service included special acknowledgement of Senior Constable David Rixon, who was killed on 2 March 2012 whilst on duty in Tamworth. Senior Constable Rixon’s tragic death was a salient reminder of the dedication police give to the service and protection of our communities. In upholding the law and keeping the people of New South Wales safe, police put their lives on the line on a daily basis. National Police Remembrance Day honours the courage and bravery of all police officers across the country. It is also an important day to remember police officers who have lost their lives as a result of illness and in other circumstances. National Police Remembrance Day recognises the families of all serving police officers and the families of those who did not make it home at the end of their shift. New South Wales Police Legacy is a not-for-profit organisation that looks after the families of deceased police officers in New South Wales. The organisation does an invaluable job providing financial and emotional support to more than 1,000 widows and widowers and 200 children across New South Wales. Importantly, New South Wales Police Legacy ensures that these families remain part of the wider police family. The police family is a close-knit group of people who support each other and their families. Also in attendance at the service at the Wall of Remembrance was 12-year-old Elayna Day and her grandmother. Elayna was only six years old when her father, Sergeant Graham Clifford Day, died but she remains a firm member of the police family. She is the proud recipient of the 2012 Commissioner’s Scholarship. 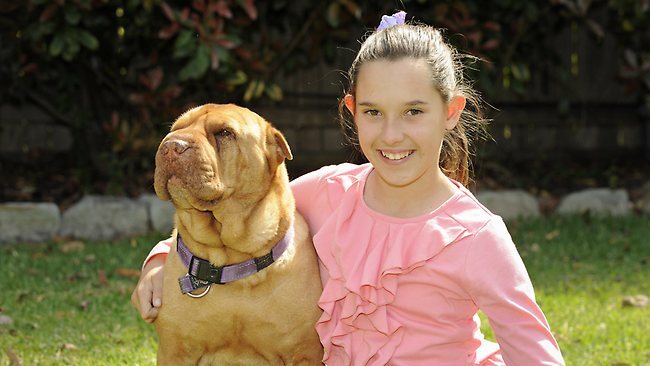 The New South Wales Police Legacy scholarship will assist Elayna as she enters high school next year to pursue her dream of becoming a veterinarian. She is a prime example of the fine work undertaken by New South Wales Police Legacy in supporting the families of our fallen police officers. 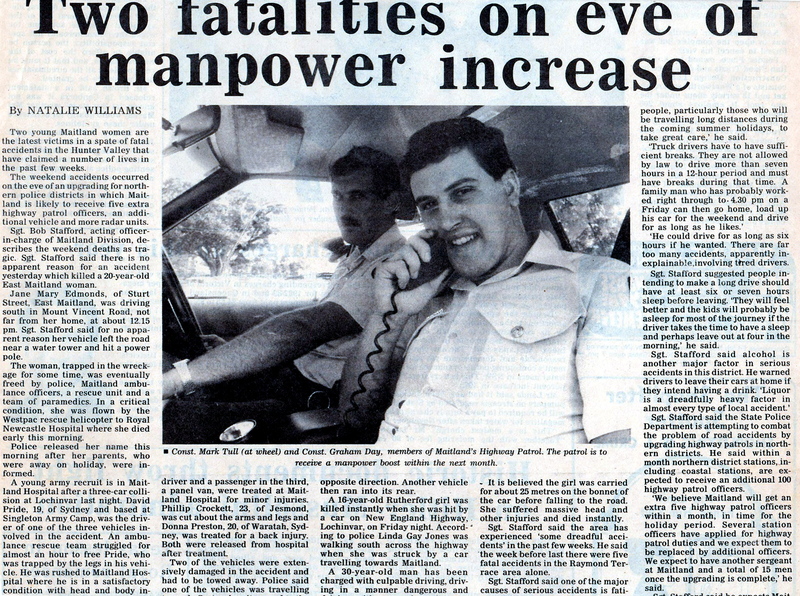 The need for an organisation like Police Legacy highlights the risks associated with being a police officer. It is a difficult, stressful and dangerous job. In informing the House on the significance of National Police Remembrance Day, I would like to take this opportunity to thank police officers across the State, all of whom are serving and protecting the people of New South Wales. Their commitment is acknowledged and respected, their bravery and courage is honoured and admired and I thank them for their contribution in ensuring that we have a safe community. SHE was only six when her father died, but Elayna Day is still a firm member of the police family. 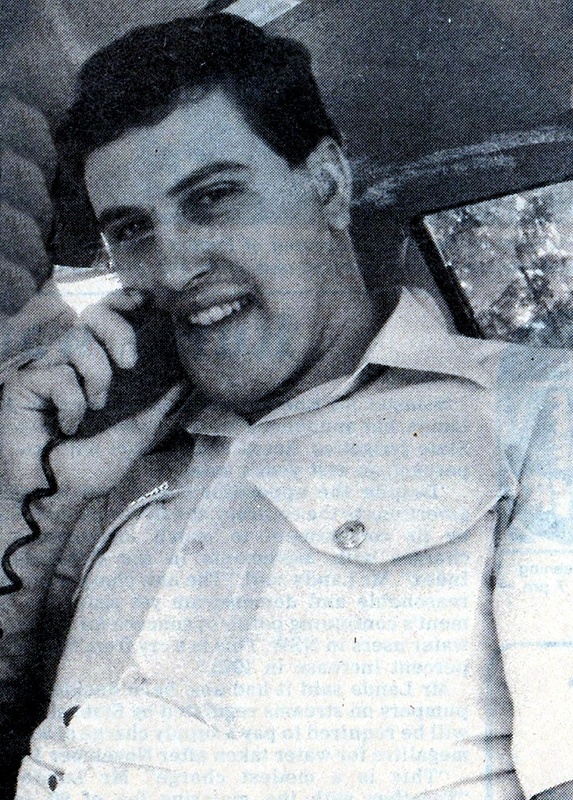 Sergeant Graham Clifford Day died in 2006 from acute renal failure after serving in the NSW police force. As police officers stop to remember Sgt Day and other fallen officers today, Elayna, now 12, will also be honoured, receiving the 2012 Commissioner’s Scholarship. The year 6 student said she would use the $5000 NSW Police Legacy scholarship to pursue her dream of becoming a veterinarian. “I was really surprised, I never thought I would get the scholarship,” she said. Her grandmother and guardian, Judith Parker, said the money would help her support Elayna. “I’m so excited that she has won this. She goes to high school next year and this really helps with uniforms and everything else,” Ms Parker said. The pair will travel from Newcastle to be part of today’s ceremony at the Police Wall of Remembrance in the Domain. NSW Police Legacy is a not-for-profit organisation which looks after the families of deceased police officers across NSW. It currently helps more than 1000 widows and widowers, and 205 children. “We provide legatees with emotional and financial support to allow these families to remain part of the police family,” a spokeswoman said.